Zazzle Media puts data driven content strategy at the heart of every campaign. 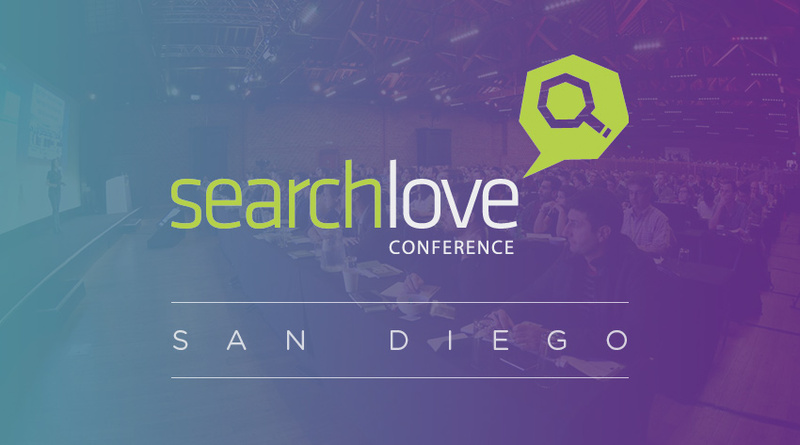 Simon Penson was asked to unveil our secrets at Searchlove San Diego last week, one of the most exclusive events in the digital marketing world. The transcript below is taken from Zazzle Media founder and MD Simon Penson's recent presentation delivered at Searchlove San Diego. The premise of the talk was how marketers can use easily accessible data to create super-focused and super-smart content strategies - from initial audience insight and persona creation right through to how you create ideas and pull them together. “Good morning everyone. Thank you for the kind welcome. I’m excited to be here and want to get into the good stuff as quickly as possible. We have a lot of ground to cover. Today I want to leave you with a thorough understanding of how you can use data to create an audience centric content strategy and creation process - and leave your competitors in the shade. I want to start that with a question. What is the single factor that ties all these US properties together? This. The most expensive residential real estate in Manhattan. This beautiful Hamptons weekend abode. Or how about this 11-bed mansion in the Hollywood hills? Oh and a yacht…I could go on. This is wealth right here. Wealth created by this – traditional print media. No wonder this guy is happy. Rupert Murdoch take a bow! Now, the point of this is not to highlight Murdoch’s lavish lifestyle but instead to look at why… why was he able to create such value? The simple answer is because of these guys, or their approach. This is a typical newsroom of the 70s. What a place! Cigars and beards. How cool can you be? Instead they were solely focused on this. People. Now we’re web focused in the main, right? Hands up who would say they are web first in their role? The good news is that the web is maturing. With it comes the opportunity to utilize offline marketing tactics to reach our customers. Hell, even Google is a focused on people now, so shouldn’t we be? Whether you look at the instructions given to their quality raters now. These are the people given the power to sink entire domains and they’re told not to measure keyword density but E-A-T, or examples of Expertise, Authoritativeness and Trustworthiness. Even the ad model is moving away from keywords to behaviours. Affinity Segments categorize audiences into specific interests and lifestyles so you can target people, not searches. It’s how media has always been. But I’m aware that I sound like I’m condemning the skills of the 2000s into the annals of history. That’s not the case and nothing of true value dies. It simply lives on in another form. And the real piece of value is in the search marketer’s ability to find and handle data. It’s about time that skill set met with content because together they could do great things together. Working in the right way good data can give us a clear understanding of who our audience actually is. What makes them tick? I know how hard that process used to be having worked in print publishing myself for 10 years. They may seem diametrically opposed but I saw my job not as an editor of a car or golf magazine but instead as a person whose job it was to create and grow a specialist audience that would be of real value to our advertisers. My job was to ensure those working for the titles didn’t focus on design or writing but people. And here’s how we did that. Personas. Meet Craig. God I really thought I’d seen the last of him! This guy lived with us constantly. His vital stats were painted on every meeting room wall. Every conversation we had was brought back to his needs. He was our focus. Creating that persona though was not easy. The web was still in its infancy then and so we relied on spending hours in places like this – ‘natural setting’ focus groups. There was absolutely nothing natural about them, however, as the rooms were dressed like your grand mother’s front room! We then also relied on ethnography – or studies of our readers in their natural surroundings. Not far from the truth there. These ways still add value of course but we were still guessing. The good news is that the net gives us search and social data, allowing us to know, for the first time ever, which we are really talking to. But with that vast amount of data available where do you start? There is no better data pot than that held by Facebook. And we’ve yet to see the full extent of its power. Graph Search is the tangible interface to that treasure trove and it’s improving rapidly. We now use it as part of the initial data dive that will ultimately inform our persona creation process. Let’s look at that in a bit of detail now. Until very recently Graph Search was pretty pointless but it’s now been plugged in and as a result you can really get into the data. We’ve created a free cheat sheet to help you navigate and you can download it here. But let’s look at a couple of examples in real time now so you can see how it works. For this run through we’ve chosen a client of ours in the bingo space and you can start to examine the audience in greater detail. Here we look at other pages liked by those who like the brand and as you can see you can start to get an understanding of the people you are talking to. If we then dive a little deeper still we can start to look at interests – and there are certainly some interesting ones there. We’ll come back to that! And you can then apply some competitive research by looking at shared interests across larger data sets that include competitors. And mine into specific interests to understand definitively which movies, games, drinks etc they may like. This is super interesting, right? It doesn’t stop there. If you look at this slide I’d be really worried if I ran TripAdvisor or any other review-based site. While their reviews are based on the general public view, Facebook is able to slice and dice to give you the views of anyone from your friends or family to those with similar interests, or ages, to you. You can see here how that can apply to almost anything. Here we have places visited by people who like the brand I like. All this data gets me very excited. But there’s a problem. While it’s great qualitative data it fails to tell us just how interested they are in each thing. We need to quantify this thing. I now want to share with you a little hack we use to do just that. There is no fancy tool I’m afraid, just a bit of simple math and to help we’ve built this simple calculator, which you can use via this link. Start by jumping onto Facebook’s ad centre and click ‘create ad’. You’ll then be presented with this screen. Click on any of these but we’ll use the Page Likes option here. Start by selecting the geography you wish to look at. You can choose everywhere but for this study we have chosen the UK. On the right hand side you’ll then be able to see how many people fit the selection. For instance, here we can see that there are 36,000,000 people in the UK on Facebook. The next step is to add in the audience interest. This can be anything from an interest to a brand, so let’s start with Mecca. The right-hand column now tells us that there are now 96,000 people in the UK who like Mecca Bingo. Remember pole dancing. Who wouldn’t? We know that our audience likes pole dancing so we now need to know how much! To do that we simply ad pole dancing to our Mecca audience and it gives us the combined audience of 126,000 people. OK so far? Now comes the maths part – and this is where the calculator can come in useful. This slide gives us the formula that will give us a better understanding of just how much our audience likes pole dancing. Taking the numbers we have just talked through we create a sum that looks a little like this and it tells us that 6.25% of the Mecca UK audience likes pole dancing. That sounds like a decent percentage but to truly understand what that means we need to look at the average person too. We can then use this simple formula to work out what percentage of the average facebook audience likes pole dancing. 0.1%. The Mecca audience just got interesting! This is where we really start to understand our audience. The pink column represents the Mecca audience and the blue the average Facebook audience and we can clearly see where the over indexing is. Those are the interests you want to really concentrate on, as part of your content plan, as you know there is a high propensity to engage. Interestingly as another aside note our initial Graph Search research suggested that both Keith Lemon and Alfie Moon were liked by our audience, but here we can clearly see that Keith Lemon is much more popular. This kind of insight is great for content of course, giving us great ideas for interviews but also for the wider marketing plan. Who should be their brand ambassador, for instance? And we can look at geography too. Here, for instance, we might be thinking of running a competition to win restaurant vouchers but rather than just generically doing the same thing for everyone in the UK why not look to see if there is a North/South, or state divide. This would suggest there is as we would be better offering McDonalds or Nandos vouchers to those in Manchester and Frankie and Benny chain coupons to those in London. It goes on forever. This is a very exciting data set and please do have a go yourself and make use of our calculator. The next step is then to create personas. The process now is to take all the over indexing interests and attempt to group them together alongside a view on age, which we can again extract from Facebook insights and map against the average Facebook audience. One great tip is to make sure you include digital capability in that mix as you are creating. This is a matrix created to break that group down and you should classify each persona into one of these so you avoid assumed knowledge issues. Your job now is to do the fun bit. Bringing those ‘people’ to life and the classic rule is not to have too many. 2-3 is right to ensure you are focused. What you should end up with is something that looks like this. These are super simplified for ease of remembering them but behind it will be a much more in depth Persona document – and there is a free template download coming up to help you with that. The tough bit of persona work is to get all your team on the same page. Sharing that understanding can be REALLY hard but there is a way around that. To make that much easier, at Max Power we aligned Craig to a famous person. That way we could easily ensure that the tonality, attitude and character of the words we wrote were the same, irrespective of who was typing. Imagine if one of your personas was this guy, Clint Eastwood. How easy would it be to share that across the team? Be Clint Eastwood when you write…. Or Beyonce. You can quickly see how helpful that can be. That’s something that really stuck with me and I’ve spent the last 15 years attempting to work out the best way of ensuring I’m not ‘stuffed’. That has culminated in the creation of this – the Zazzle ideation process. A pillared process that brings order to what can otherwise be a chaotic attempt at brainstorming. The idea is, you split one long session into two containing several separate mini brainstorms that look at very specific parts of the strategy and we have created a free ‘tool’ to help guide you through. Before that even starts though it’s important to do your groundwork and we always use a content strategist to work through as much as possible in order to make the actual meetings as useful and productive as they can be. The process begins with an Audience discussion, designed to paint as clear a picture as possible of the people we are attempting to target. Stage one of that is a piece around the ‘mission statement’ of the brand or the particular campaign we are looking to work on. In Zazzle Media’s case we know we want to focus on being seen as thought leaders in the digital marketing space, specifically around data driven content strategy and digital PR and to grow our search visibility and reputation around those things. Defining this then helps us to really focus efforts on producing content to affect this goal. It should act as the focal point of all other discussions. With that defined we can then move onto the really interesting bit – and this is where the work discussed previously around social data insight is brought into play. At this stage it is not about creating specific ideas but instead about ensuring that content personas are created. Exactly what these look like depends again on the objectives defined above as you may be looking at creating ideas for a specific campaign or an entire long term strategy. The key bit is ensuring they are created based on the insight you have and that you follow the rules we set out earlier in this presentation. The final part of the initial meet stage is to work through which content ‘types’ are relevant for those personas. At this stage it is less about creating ideas, per se, but about thinking of series and then ideas within which those ideas can hang. That means brainstorming around schematic content frameworks from which to hang great ideas. One of the best ways of finding those is to pick through a magazine and look at each page (including the front cover) and pick out the feature ideas they have. Great ones are particularly prevalent in the front section of magazines within the ‘news’ sections. Great examples may be Q&As, ‘5 questions with’, ‘What’s Hot and Not’, ‘Know your…’ and so on. By picking a number of these framework ideas your content strategist can go away and lay out the foundation for your editorial plan. You should end up with a single month populated with these types throughout the month, ready for those ideas. As you now have the foundations in place the next ‘meet’ is the fun one and the idea here is to work through each area methodically to ensure that no stone is left unturned. That starts with this, the long tail opportunity in search. Working on ideas that specifically match what is being searched for will ensure you maximize potential audience opportunity. To do that make use of tools such as Ubersuggest, Semrush, Google keyword planner and so on. These ‘ideas’ can be created and listed outside of this meeting and then refined within it. Next is a related area but one that requires some cognitive time to understand what other topics are related to what your brand does, but not far enough away to be off brand or off topic. Tools like LSI Keywords really help you understand what they may be and will often spark off great idea streams when used in the meeting. The next phase involves looking at what is trending in the space. Here we can make use of Google Trends, News searches and tools like Bottlenose’s Sonar, which gives you a map of trending topics. From these it is possible to create a number of ‘news led’ ideas for immediate use in the plan. To add variation we then add in a session on evergreen content. This is about creating a list of key areas in the buying process to ensure you cover these well. This conversation often pulls in the next phase of the session in ensuring you have content ideas that cover off the entire cycle. Often you’ll end up with lots of ideas at the top of the funnel but less as the visitor moves through it. Ensuring you answer all of those burning consumer questions is the key here, so have a session on each stage in the process and also make sure you have carried out some related keyword research to uncover the high volume keywords you can create content around consistently and update. One great way of doing that is to look at competitor strategies and there are several tools to help with that. Firstly we make use of tools like SEMRush and Searchmetrics again to understand which keywords are driving traffic to them. And if those competitors add most of their content to a subdomain it can be very easy to analyse that separately and create a priority order list of good content ideas for your own site. If you want to be really smart you can take data on social shares for those URLs from a tool like Buzzsumo or Social Crawlytics and overlay it, giving you a view on what is also most likely to engage your audience. You should now have a complete list of initial ideas. The next stage is to ensure they fit together in a way that will attract engagement. So, before we simply throw everything together in a calendar we must understand the concept of content flow. The best way to do this is to look at the assets you will be creating in terms of the time it takes you to pull them together. Smaller pieces such as articles and quick Q and As may only take a few hours to finalise, while major campaigns can take weeks of planning, creation and execution. By mapping them in this way in a chart we get this kind of effect – something I call content flow. The ideal shape you are looking for is something that looks a little like this – like a heart monitor with ebb and flow. The low bits are those every day articles, while the higher peaks are big bang campaign content. By spending a little time testing your content plan like this you’ll ensure you are getting the variation right and with it keeping your audience entertained and coming back for more. Your content calendar will then work like a dream and you’ll have the template there to continue with into the future. So, there you have it. Traditional media’s principles are still as relevant today as they always have been. Digital has a real opportunity to take on key learnings from traditional media and run with it, taking brands into a new era of data driven marketing. Hopefully the last 30 minutes has given you a process to maximize returns from that. To download any of the tools mentioned here head over to our Content Strategy Toolkit Page now.